A review of the Western Reserve Health Assurance Co. of Ohio Health Insurance Company finds the more succinctly named Western Reserve Life Assurance Co. of Ohio. The company is also known as Western Reserve Life, or WRL. It was founded in Cleveland, Ohio in 1958 to help protect the growing wealth of Ohioans. Put your zip code into our free toolbox above to look through the health insurance rates of top providers in your area! Western Reserve Life expanded rapidly over the years, purchasing small insurance companies and expanding into more states. Eventually, the company moved its headquarters to Florida. After several corporate parents and sales, Western Reserve Life Assurance Co. of Ohio became a subsidiary of the AEGON insurance group in 1991. Alternatively, you can call the company toll-free at 1-800-851-9777 or email the company through a form on its website. As its name implies, Western Reserve Life Assurance Co. of Ohio sells life insurance policies, including term and permanent life insurance. The difference between term and permanent policies (in this case, a universal policy) is that term life insurance offers coverage for a set period of time. When that period expires, you will need to purchase another policy and, often, the price of term life insurance goes up as you get older and/or you become affected by various medical conditions. Universal life insurance, meanwhile, covers you until you die. In addition, while term life insurance pays out a death benefit if you are insured at the time of your death, universal coverage pays a death benefit as well as accruing cash value during your lifetime. You can draw down on this cash while you are still alive, so the policy acts as a type of savings account. However, your death benefit is reduced if you take out the money beforehand. WRL sells three different types of universal policies, and one type of term policy. 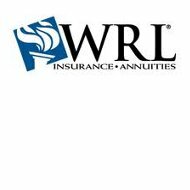 If you are interested in WRL’s insurance plans, you can look at a prospectus online and then call to speak to an agent. On its website, Western Reserve Life states that it is proud of its ratings from several independent ratings companies, and it should be. A.M. Best Company has given WRL a financial strength rating of “A+,” which is a “Superior” rating. Fitch has rated the company an “AA-,” which is a very strong rating, and Standard & Poor’s has given WRL the same rating as Fitch. Moody’s has given the company an “A1” or “Good” rating. All these ratings are a mark of the company’s financial strength and operating performance, which have been strong in the past and are expected to be equally strong into the future. This bodes very well for current and future policyholders, and you should always look at an insurance company’s financial ratings before you sign with the company. A well-rated company will mean it will be able to pay out any claims you may have in the future, instead of taking your premiums and then going bankrupt before you even file a claim. In addition, Western Reserve Life has received an “A+” from the Better Business Bureau, based on its time in business, size of its business, number of complaints filed against it, and the successful resolution of those complaints. An Internet search of the company yielded an equal number of good and bad reviews from current and past policyholders. As always, it is best to do your own due diligence on a company before deciding to purchase its products and services. WRL has no “Careers” link on its website. However, if you are interested in working for the company you should go to its parent company’s website instead. AEGON’s site has search portals for both potential employees and current employees looking for a new position. A general search of current openings yielded more than 150, for locations all over the U.S. Positions range from actuarial to programming, and operations management to social media development. Get health insurance rates now just by entering your zip code into the box below!